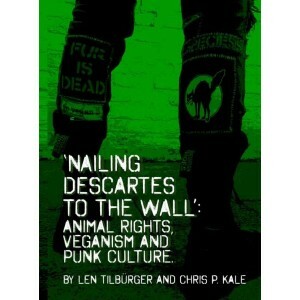 This zine examines the frequent overlap between punk culture and animal rights activism/vegan consumption habits. 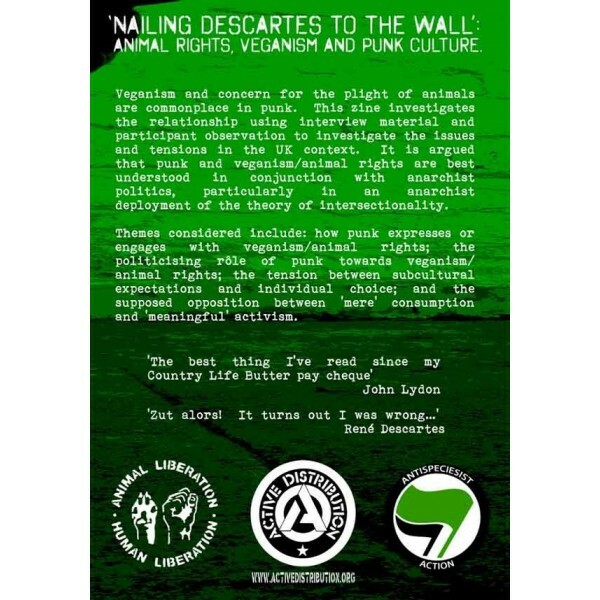 It is argued that this relationship is most strongly and consistently expressed, and most sensibly understood, in connection with anarchism. Examining this relationship is important in several ways. 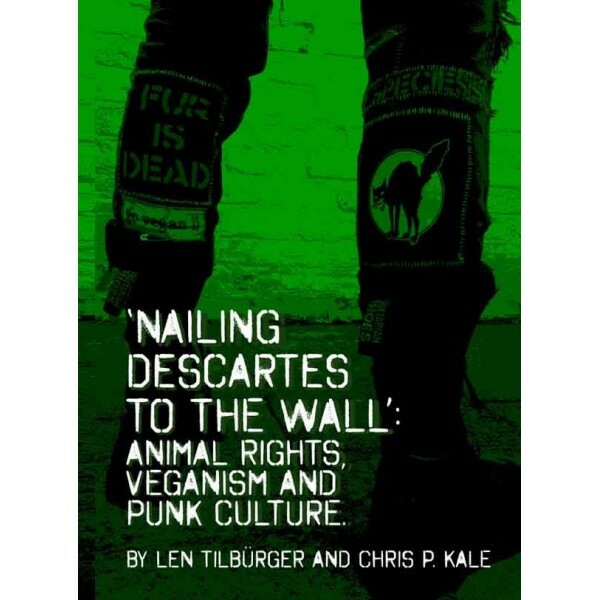 Firstly, it is under-researched and overlooked – as environmental journalist Will Potter argues, given the importance that punk plays in the political development of individual activists, it is surprising that ‘there is a shortage of research into punk’s impact on animal rights and environmental activism.’2 This zine, which brings together material from numerous bands, zines, patches, leaflets, and newly researched interview material, addresses this absence by considering the relationship between animal rights/veganism and punk. Secondly, the themes raised in this zine resonate far beyond the punk scenes from which material is collected: diversity and difference within activist communities, how these differences are managed (even ‘policed’), the prioritisation of certain forms of activism over others, and the role of culture are all issues which cut right to the heart of contemporary activist and community organising. Thirdly, the topic is of personal importance to the authors, both of whom are writing the zine from the impetus of their own life experiences.